They explained the issues in trying to estimate the performance of R&D. Some ratios like R&D in % of sales as well as the % of new products launched over the last two years can be used but unfortunately they are not capturing the reality. They worked on this challenge, designed a unique formula and tested it in real corporate life. 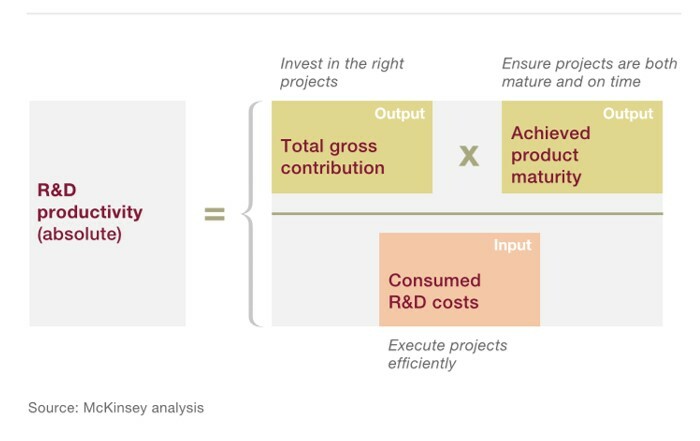 R&D outcomes = multiplying a project’s total gross contribution by its rate of maturation and then dividing the result by the project’s R&D cost. Total gross contribution is the product’s economic value to customers. It is best calculated, I think, with a NPV. 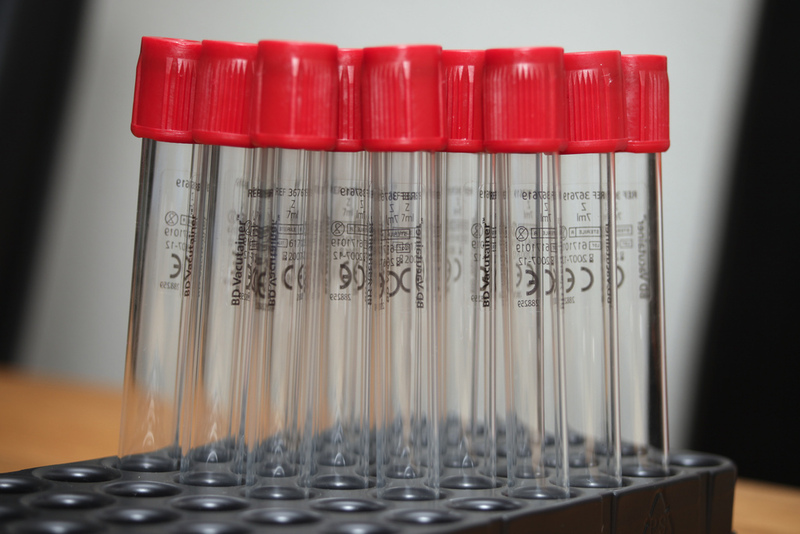 Achieved product maturity is how close it is to verifying and validating its technical and commercial requirements. The implication is that companies must be able to assess, in real time, how close their R&D projects are to full maturity (simply looks at critical dimensions (such as cost, functionality, and quality) during each of the quality gates a project passes through in its development). For pharma companies, I think that the numerator of the formula could be the rNPV for a specific project (or the aggregation for all the projects of the company). Have a look at my lectures on valuation if you would like to find out more about rNPV. Consumed R&D costs are easy to find. This entry was posted in Corporate Strategy, Trend Box and tagged Corporate Strategy, drug development, Innovation. Bookmark the permalink.